OCTOBER 7, 2011. The wonder of this city continues to delight. Today we headed straight to the Museum of Contemporary Craft. There were three very interesting exhibits running, (see the link below) plus an extra show of pacific northwest bike builders brought together to design new and innovative bikes for commuting. 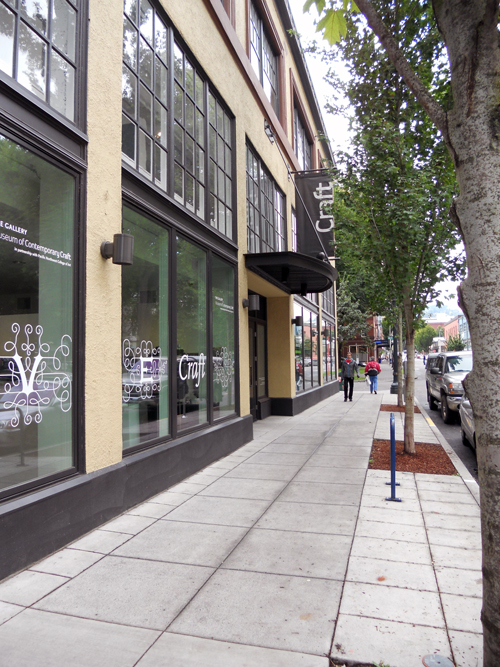 On the same block there are at least half a dozen art galleries of various disciplines including a couple dedicated to photography. At the corner we ate lunch at Chez Joly, delightful. 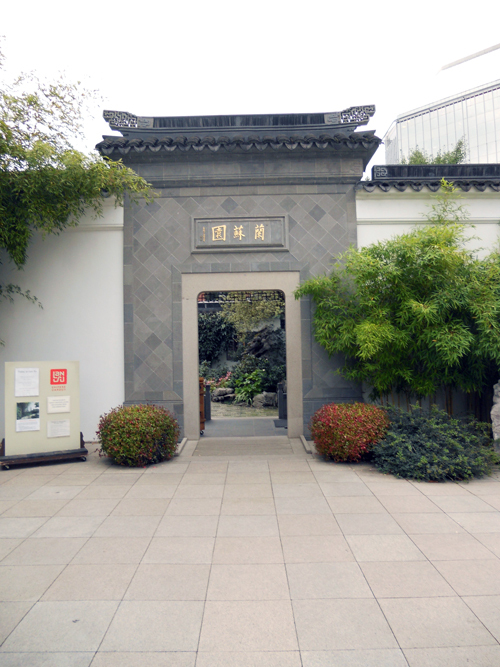 The afternoon was spent at the Lan Su Classical Chinese Garden. I’ll dedicate at least one post to that! Back to the hotel in time to catch the last few minutes of the Wine and Cheese and it was off to the Living Room Theatre where they serve you dinner while you watch a film! 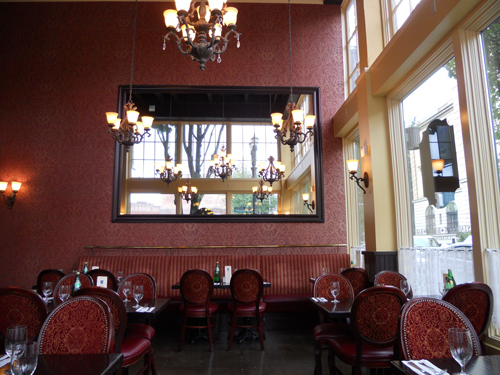 Chez Joly French Bistro, corner of Broadway and Davis, Portland. The Lan Su Classical Chinese Garden in Portland's Chinatown.